Introducing convenient online ordering, now featuring some of our most popular breakfast, lunch, dinner and appetizer selections. You’re busy. We know the feeling. And sometimes, you don’t need the full-service catering Saz’s offers – you just need some food to feed some people and that’s that. While we do offer express drop off services within 25 miles of our location, we wanted to simplify things for those who might prefer to pick up their order from Saz’s. 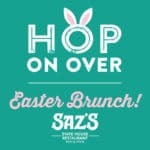 With two convenient pick up locations (Saz’s State House and Saz’s Catering), Saz’s makes it simple to pick up your order on the way to or from your destination, or as a quick jaunt over just before your luncheon or social gathering.  Any of the Saz’s Catering menu items are available for pick up, but we do have one menu specifically dedicated to popular a la carte and pick up items. As always, if there is something specific you have in mind that you do not see on our menus, just let your event manager know and he or she will be happy to accommodate! To place your order for a delicious family meal to pick up on your way home from work on a busy night later in the week, or to request a pick up for an upcoming office meeting or home party, click here to get started or call 414.256.8765. Please allow a minimum of 24-48 hours for the Catering management and kitchen staff to prepare your order. While we do typically have product for the preparation of our signature items in-house, some other menu items require special ordering to ensure the freshest ingredients possible for your meal. Thank you for your cooperation! Please note: pick up orders do not include chafing dishes or other equipment typically used in our full-service catering. Due to popular demand, Saz’s has now made some of this equipment available to rent for your convenience! Details are noted in the Rental Equipment section of the A La Carte menu above.